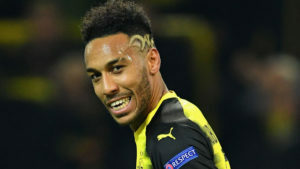 Arsenal’s Aubameyang is expected to make his debut when his new side host Everton at the Emirates. Photo by Agncies. The Premier league returns this Saturday with seven games as the relegation scrap intensifies and Man City aim to pill more misery on the chasing pack. Run a way league leader Man City will have a chance of moving 18 points a head of Man United when they travel to Turf Moor to take on a Burnely side who have lost all of their last three home fixtures in the England top tier. City will have to do without long term absentees Benjamin Mendy, Leroy Sane, Fabian Delph, Philip Foden and Gabriel Jesus who are all still out for some period and may be joined by John Stones who is struggling to shake off an Illnes. The host also have several injury concerns going into the fixture with goalkeeper Tom Heaton, Rob Brady, Chris Wood, Steven Defour, Dean Marney and striker Jonathan Walters all still out. The Clarets will be boosted by the news that defenders James Tarkowski and Stephen Ward are both back in contention having trained this week and are expected to feature. As Burnely are struggling for form of late having not won in any of their past nine matches in all competitions, business seems to have been resumed at City as the Citizens have won four in four ever since they went down 3-4 at Anfield at the start of the year. Burnely have registered only one win against City in 43 years and having lost all of their past four meetings with the Citizens, Sean Dych’s men will be backing on the joint fourth best defence in the league to try and shut out Pep Guardiol’s side. Ryad Mahrez may not feature for the second match running for Leicester after trying to force a move away from the King Power on transfer deadline day. Photo by Agencies. Bournemouth are expected to have defender Tyron Mings back recovering fully from injury but Jamaine Defoe and Adam Smith remain sidelined. Stock City will have a near to full strength squad as England goalkeeper Jack Butland is the only unavailable first team player. Bournemouth recorded their best league victory in the top flight according to their manager Eddie Howie, in Wednesday when they defeat giants Chelsea at the Bridge to ease up on the pressure and relegation fears and will hope that momentum will be the driving factor when they host a Stock side that is yet to loose under new manager Paul Lambert. Having replaced Mark Hughes at the turn of the year, Paul Lambert has over seen two league fixtures winning one and drawing the other with the draw coming in their last outing at home to Watford. This will be the Scot’s first league away fixture and will try to make right the fact that his side have won only once away from home this season. For Bournemouth, they have not lost any of their last four home games and are yet to lose to a team in the bottom half of the league at the Vitality. This fixture has not seen a home victory since 2015 when Stock defeated the Cherries 2-1 at the BET 365 stadium but Bournemouth will be confident they can put their home woes against Stock to bed having won the first meeting this season 2-1. Brighton’s new signing Jiri Skalak will have to wait for his league debut as he is expected to still be out till the end of the month. The Seagulls will also not be with Isaiah Brown and Steve Sidwell who are long-term absentees. West Ham have a long injury list as Pedro Obiang, Marko Arnautovic, Manuel Lanzini, Andy Carroll and Edmilson Fernandez are all still nursing injuries. The only good news for David Moyer is that defender Winston Reid has returned to training but he is also not expected to feature as g lacks fitness. Arthur Maswaku serves the second of his six match suspension ban for spiting. With three points separating these sides on the table and both still involved in the relegation scrap, it will be all to play for on Saturday as each of them wants to make a sarge up the table. Brighton have lost only three games at home this season with those losses coming against Chelsea, Man City and Liverpool but will have all to worry about as their opponents have not lost a games since the 23rd I December. The first top flight meeting between the two sides in over 30 years culminated to Brighton defeating the Hammers 3-0 at the London stadium and this promises to be a more intriguing fixture as it may carry relegation implications come the end of the season. 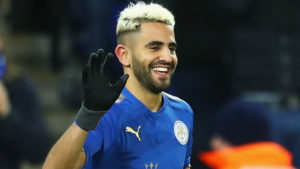 Leicester City are expected not to field Ryad Mahrez for the second game running after the Algerian tried to force a move away from the King Power on transfer deadline and he is subject to a huge fine. The Foxes will also still be with out captain Wes Morgan who is carrying a Hamstring injury but apart from those two, Claud Puel has the rest of the squad available. Renato Sanchez still remains Swansea’s only injury concern and the Portuguese has limited chances of taking part this weekend despite having recovered from a hamstring issue. Leicester lost their first game in seven outings on Wednesday as they fell 2-1 at Everton but will back on the fact that they have lost only once at home in their last eight cup and league games. Swansea are currently enjoying their best run of form this season having not lost in any of their six previous games and came from a goal down to defeat Arsenal at home in their last league game. A run of three wins in their last five games has seen the Swans move out of the relegation zone for the first time in over four months and the team will surely be confident of getting a result against Leicester on Saturday. This fixture has not seen a draw in any of the last 12 meetings with Leicester winning eight times in the process including five of the last six. Swansea has never won at Leicester in history and re-writing the past may be too much to ask but a point may be in the Swans reach provided their recent form. 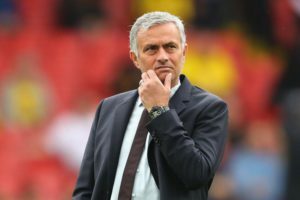 Jose Mourinho may find his side 18 points behind leaders Man City by kick-off when they host Huddersfield Town. Photo by Agencies. Manchester United find them selves 15 points behind leaders City and by the first kick of the ball, Jose Mourinho’s charges may find them selves a further three points adrift as City would have played two and a half hours before. This is as a result of Man United losing 2-0 on Wednesday coupled with City’s 3-0 win at home to West Brom and Mourinho and his charges will know that they have no more room for error as the tittle will be close to lost when they host one of the four sides to have defeated them in the league this season. Huddersfield triumphed 2-1 in the clubs’ first meeting this season and United will hope anything close to what happened at the John Smith stadium in October does not surface again. United saw Marouane Fellaini limp off with injury against Spurs and the Belgian will join Daley Blind, Zlatan Ibrahimovic and defender Eric Baily on the list of players unavailable on Saturday. The Terriers are expected to have Daniel Williams back after suffering from a dead leg last weekend but will have to do without Scott Malone, Elias Kachunga and Jon Stankovic for the games as they are all still out injured. United will host a fixture between the two side for the first time since 1972 when the Red Devils won 2-0 against Huddersfield in the old first divison. West Brom are expected to have five first team players returning from injury with Gregorz Krychowiak, Kierran Gibbs, Jonney Evans, Hal_Robson Kanu and Jack Livermoore all fit again. Nacer Chadli and James Morrison remain long term absentees for the Baggies. For Soutghampton, Only Charlie Austin is still out nursing a hamstring injury as fellow striker Manolo Gabbiadini has recovered from a hip injury and is in contention to play. After the midweek games, Southampton find them selves in the relegation zone and the 1-1 draw with Brighton means that the Saints have gone 12 games minus a league victory. Allan Perdew’s side are bottom of the league four points away from safety Wednesday’s 3-0 loss to City ended a run of four games without defeat in all competitions. This is a clear relegation three pointer and Southampton who have won only once in the league on their travels this season will go into the game low on confidence taking on a side that they have defeated only twice in over 30 years away at the Hawthorns. The Saints triumphed 1-0 in the first tie at the beginning of the season thanks to a Sofiane Boufal 85th minute winner and a cagey a fair like the one then will be expected again. Their opponents Everton who won their first game in eight in all competitions on Wednesday will have no returnees from injury as Leighton Baines, Morten Stekelenburg, Ramiro Funes Mori and James McCarthy are still a long way from returning. This fixture has always seen plenty of goals and the first meeting between the sides this season saw seven goals scored as Arsenal ran out 5-2 winners at Goodison. Theo Walcott who spend over a decade at Arsenal and scored both of Everton’s goals in the mid week’s 2-1 victory over Leicester will hopefully receive a warm reception for his loyalty over the period when he makes his initial return to the Emirates but will be eager to impress his former employers as he continues his push for a place in the England World cup squad. Everton have never defeated Arsenal under Arsene Wenger away from home and to find an away win for the Toffees, you will have to go back to the 20th of January 1996, eight moths before the Frenchman’s arrival. Arsenal has won all of its last six home games against Everton and will be confident they can return to winning ways after suffering a 3-1 loss to Swansea in their last league fixture and in the process falling eight points behind Chelsea in fourth.